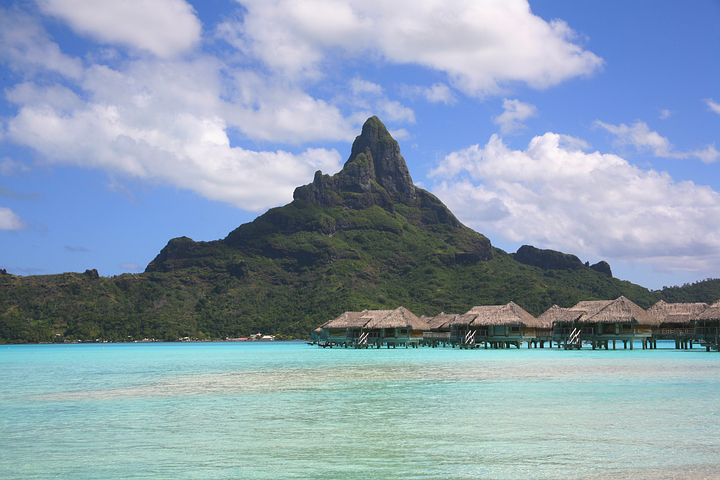 Honeymooners will spend 10 romantic days in Tahiti, Bora Bora and Morea. Rest and relax, and enjoy the luxurious rooms and amenities at these beautiful islands and resorts. Relax and refresh, and take advantage of the hotel’s amenities for the day. After breakfast, you will be transferred to the airport where you will board a short inter-island flight to Bora Bora. Enjoy 5 days and 5 nights in this tropical paradise! Enjoy a bottle of complimentary champagne and breakfast daily. After breakfast you will be transferred to the airport where you will board a short inter-island flight to Morea. 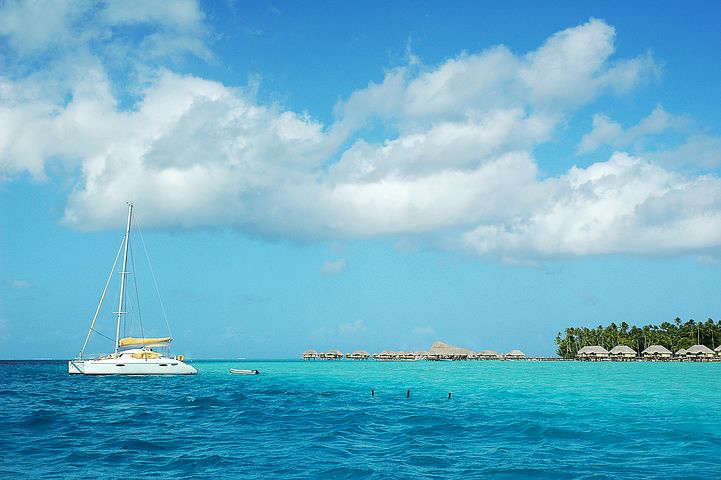 Enjoy 3 days and 3 nights on a different but equally stunning Tahitian island! 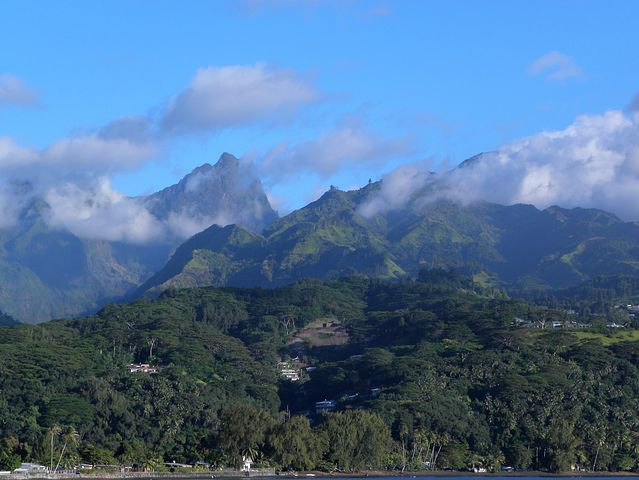 After breakfast, you will be transferred to the airport where you will board an inter-island flight back to the island of Tahiti where you will connect to your international flight home. Occupying a colonial-inspired building and grass-roofed bungalows set on stilts in the ocean, this upscale spa resort is 7 km from Bougainville Park and 8 km from Papeete Market. Polished rooms with balconies come with free Wi-Fi, flat screens, mini fridges, and tea and coffeemakers. Stilted bungalows add living rooms and terraces. Room service is available, and kids age 15 and under stay free with an adult. In addition to a chic spa, amenities include a complimentary hot breakfast buffet, and 2 freshwater pools, 1 of which has a swim-up bar. Dining options include a posh waterfront restaurant and 2 open-air bars. Snorkeling and kayaking are available. 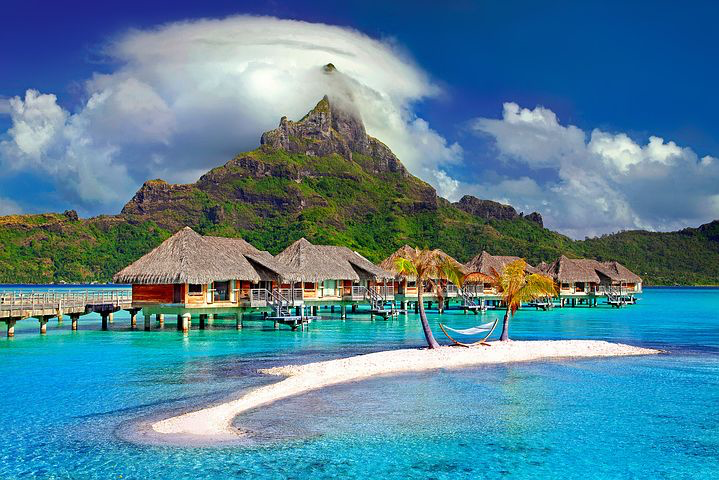 Housed in a collection of thatched-roof bungalows on the Bora Bora lagoon, this luxury resort is 7 km from Bora Bora Yacht Club. On stilts above the lagoon, the plush bungalows offer porches, lounge areas with sofas and mini fridges, plus satellite TV, free Wi-Fi, and iPod docks. Some have private plunge pools. Upgraded bungalows offer pull-out sofas and extra rooms. Luxe Beachfront villas feature private gardens and outdoor pools. Room service is available. Other amenities include 4 Polynesian restaurants with open-air dining, a Polynesian-style spa, a gym with regular yoga, plus an infinity pool. Set on the edge of a lagoon, this polished resort is 3 km from Morea Green Pearl Golf Course and 11 km from Mount Tohivea. Featuring thatched roofs, the chic wood cabins have free Wi-Fi, flat-screen TVs and tea and coffeemakers. Some have direct beach access or over-water locations. Upgraded quarters offer whirlpool tubs, Bose sound systems, and Nespresso machines. Room service is available. There’s a vaulted, pavilion-style restaurant, as well as a modern eatery, and a bar with lagoon views. Other amenities include a private beach, an outdoor pool, and a hot tub, plus a spa area.